After working in the advertising industry for most of his professional life, Chris Michael opened the doors at Bulldog Creative Services in 1999. 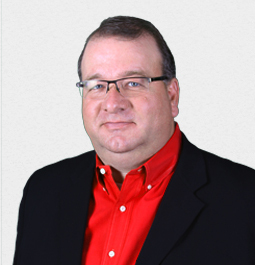 Chris began as a one-man team and has successfully grown the company into what it is today. 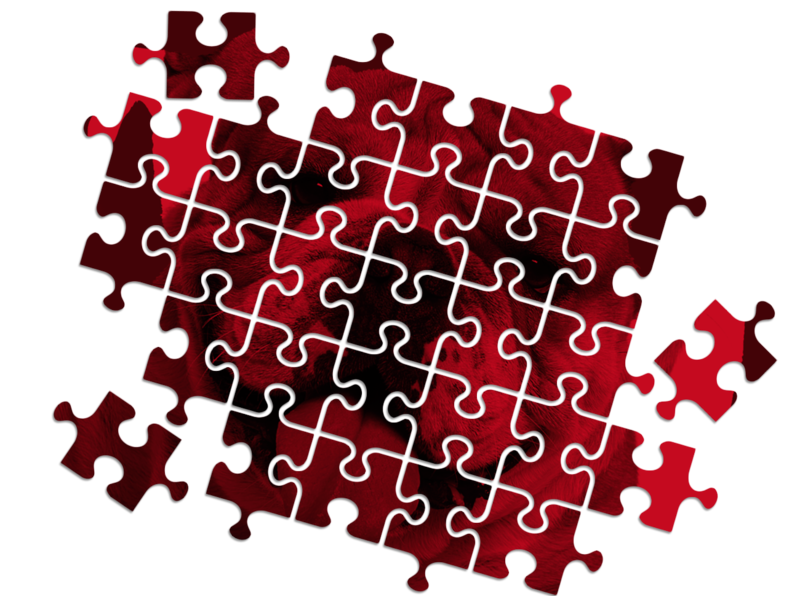 He continues to wear many hats at Bulldog, remaining just as involved with clients as he was when the doors opened, serving as an account executive, designer, producer and more. 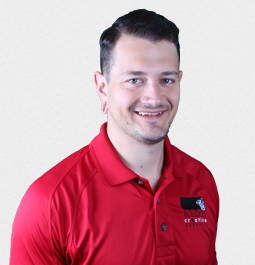 A graduate of Ball State University, Chris is married with two boys and enjoys keeping up with them on the ski slopes and greens and trying to bluff his opponents in a friendly game of poker! 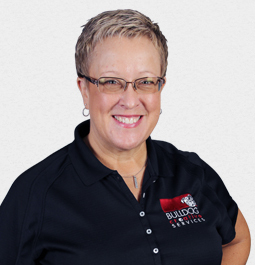 An accomplished and award-winning designer, Christine has been with Bulldog since 2004. Her design contributions to clients have been featured in local, regional and national publications. She’s not only an integral part of team Bulldog, but a great asset to the Huntington community, playing a tremendous role in the design and painting of two viaduct murals and Huntington in Bloom. A graduate of Marshall University, Christine enjoys spending time with her family, painting and going all HGTV on her Huntington abode. 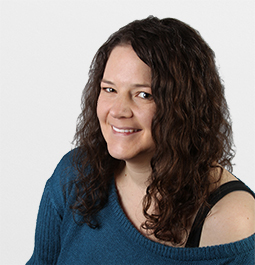 Lynne joined team Bulldog in 2018 with an expansive background in the strategic communications world. She's written for The Herald-Dispatch, project managed for Gannett Co., and taught at Marshall University. 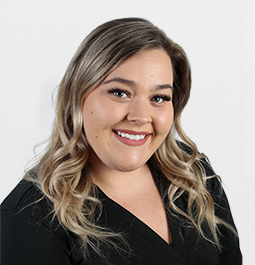 Now she's an integral part of our client services team and fits in perfectly with the knowledge, attitude, and ability to get things accomplished. When she isn’t being a total grammar nerd, Lynne loves to hike mountains with her son and see the world from a different perspective. Peyton joined team Bulldog in 2019 after taking her creative skills to Disney World and returning home to her home state of West Virginia. A 2017 marketing and graphic design graduate of Marshall University, Peyton brings a great combination of skills to the client services team along with the desire to get things done. A thrifty traveler, Peyton enjoys visits to New York and watching Broadway plays. Megan is a truly unique individual that has the 'mad skilz' that many of our clients appreciate. 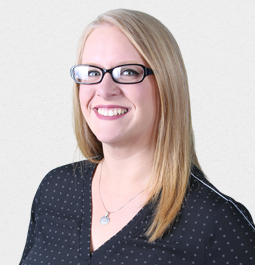 An award-winning designer, Megan works directly with many clients and their teams to produce incredible outcomes. 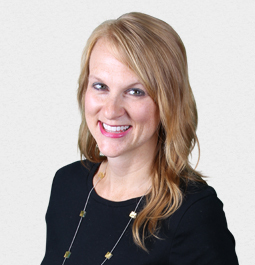 Megan joined the Bulldog team in 2007 and has made positive contributions in many areas ever since. Another graduate of Marshall University, Megan came to Bulldog after working within the advertising industry since leaving school. Our resident 'Craft Queen', Megan can turn another man's trash into treasures and knit you a whole new wardrobe in no time flat. Coming to us all the way from South Charleston, WV, team Bulldog has recruited yet another Marshall University grad – Go Herd! Tom is a multi-talented graphic designer and animator, bringing a unique perspective and new set of talents to our award-winning creative team. In his spare time, you can find him playing the guitar, drinking protein shakes, or pumping iron. Check out those guns! 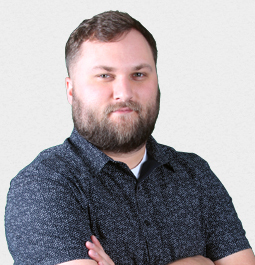 A graduate of Marshall University, Levi joined Bulldog Creative in 2011 and immediately began making considerable contributions to client projects. He loves to manage servers, create Laravel web applications, build SPAs (Single Page Application) using React, and more. He also enjoys finding new ways to enhance our clients' SEO (Search Engine Optimization) and is recognized by Google for his contributions to the world of open source code. In his spare time, Levi is the best dog dad to his wiener dog, Frank! Alex Vance first joined Bulldog as a web developer in early 2012. After moving to Austin, Texas in 2014 and completing a web development bootcamp, Alex brought his new skills back home. 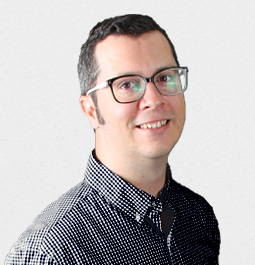 We're thrilled to have him back to assist our clients with interactive designs and functional programming. Outside of work, Alex enjoys all things Marshall athletics and snuggling up to his ferocious feline, Nibbler. 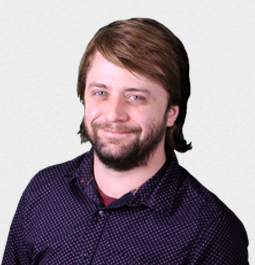 John, otherwise known as Pip, has a knack and passion for web development. After learning how to code from his former roommate, John graduated from Mountwest Community & Technical College and grew his skills to land a web developer position with the Bulldog team. He hopes to use his knowledge to better the Huntington community and when he isn’t coding awesome sites he’s probably playing guitar, eating No.1 Kitchen, or enjoying live music at the V-Club. Although most of us are graduates of Marshall, we're thrilled to have a Mountaineer on the team! 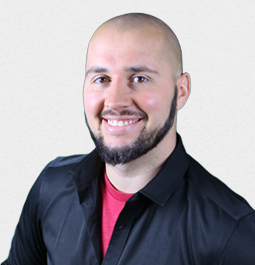 Jake started his career in web development as a student intern at West Virginia University. Since then, he was able to develop his skills at a large firm in Washington, D.C., but knew he wanted to end up back in the mountains. Outside of work, Jake enjoys camping, fishing and relaxing in his boat on the lake. Coming all the way from Arkansas, Erin joined team Bulldog in 2019 bringing an extensive background and knowledge of creative video production and storytelling. 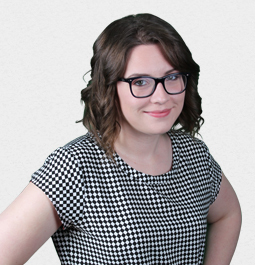 A University of Arkansas graduate, Erin is accomplished in all things video, including news, documentary, promotional and eCommerce digital media. When she isn’t shooting for clients, Erin can be found in her cozy office at Bulldog with her dog, Cúchulainn planning and editing videos. Molly joined the team in the spring of 2016, and we are more than happy to have her on board! 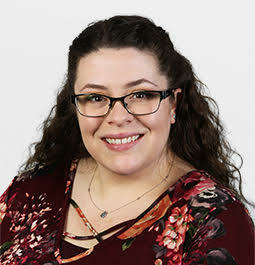 She is the first one people talk to when they call or visit Bulldog, but this Star Wars fanatic does so much more that makes her an integral part of our team. She moved to Huntington from Logan, WV in 2008 and graduated from Mountwest with an associate degree in allied health. In her spare time, Molly enjoys playing the latest video games and challenging opponents from all over the world. Kay joined team Bulldog in 2019 after a stent in administration with the federal government. A recent transplant from Utah, Kay brings a wealth of knowledge to help support Bulldog's clients, plus she loves to read! When she isn't buried in a book, Kay puts on her creative hat and enjoys relaxing with some yarn and her crochet hook. Production You belong in movies! Team Learn about our team! Contact Drop us a line!